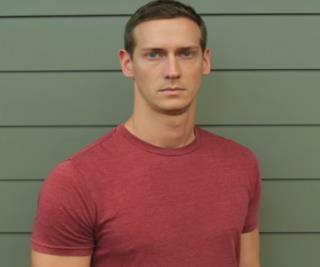 (Newser) – Stuntperson John Bernecker was supposed to be doing what one veteran stunt coordinator calls "the ABC of stunts"—a 22-foot fall—on the Georgia set of the Walking Dead when he instead plummeted headfirst to his death. The Hollywood Reporter takes a look at the investigation surrounding the incident, which the local sheriff's office, OSHA, and SAG-AFTRA are all probing, and notes the questions swirling around it. It's not yet clear how what should have been a simple stunt turned fatal, but Bernecker's girlfriend, a fellow stuntperson, has implied that actor Austin Amelio (Dwight on the show) shouldn't have been on the balcony with Bernecker since, as an actor and not a stuntperson, he "doesn't know what he's doing." Amelio has not commented on the incident. Then there's the fact that photos of the scene show no padding below the balcony. He made a mistake. Things happen. Sorry for him but really, that was a high risk job. Complacency? Because it was a simple stunt? Like where most traffic accidents happen when you are less than a mile from home. Also, I feel bad for Dwight (Austin Amelio). The girlfriend makes it sound like he's partially at fault. But he was just probably following the director's instructions. And if it shouldn't be happening, then why did Bernecker himself not take issue with working with an actor instead of with a fellow stuntman? Shouldn't the stunt director also bear some responsibility for that?